The first truly unitized split isolator, the Split GUARDIAN™ offers exceptional bearing protection for pumps and motors under the harshest condition. When uptime and mean time to repair (MTTR) are your primary concerns, the Split Isolator is your only real choice. Rigging and maintenance is very costly, the Split GUARDIAN™ can save thousands of dollars in maintenance due to the unique split design. No more costly tear down of equipment required, with the Split GUARDIAN™, the average installation takes minutes instead of hours. Split GUARDIAN™ bearing isolators have a unitizing ring which keeps seal components from having metal to metal contact. Extend bearing life by excluding contamination and retaining bearing lubrication to IP65 levels. Non-wearing seal components provide consistent sealing performance over the lifetime of a bearing. 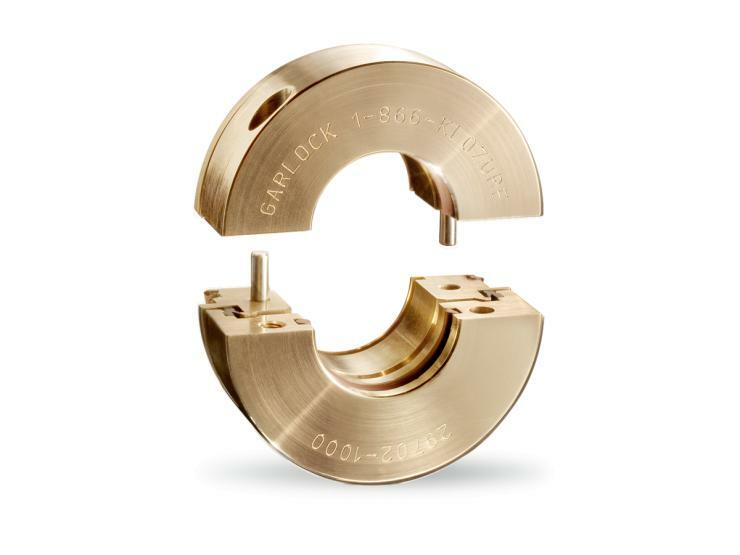 Reduce time to install without an arbor press with Garlock® patented Cam-Lock o-ring system. Optional surface mounted design, for solid or split configurations, eliminates the need to machine equipment housings with small cross sections to accept a bore installed bearing isolator.